These general terms and conditions of (hereinafter, “General Terms and Conditions”) apply to the sale/purchase of products and services online through the website www.l-originale.com (hereinafter, “Website”) in accordance with Italian law, as per legislative decree d.lgs. 206/2005 and successive amendments and integrations (hereinafter “Consumer Code”). Seller of the products and owner of the Website is: L-Originale di Andrea Adani. with registered office in Via dei Narcisi 4 - 41126 Modena - Italy, Tax Identification Code/VAT No.03856500362, email address: info@l-originale.com, l-originale@pec.it (hereinafter “L-Originale”). Before sending his/her order, the Customer who uses this Website to make purchases (hereinafter, “Customer”) must carefully read these General Terms and Conditions, which are at his/her disposal in the Website at any time, as well as via the link included in the confirmation email of each order for the purpose of allowing their reproduction and storage by the said Customer. If the party who makes purchases via the Website requires an invoice and/or is not a “consumer or user” as defined by art. 3, subsection 1, lett. a) of the Consumer Code, the withdrawal regulations pursuant to art. 6 of these General Terms and Conditions shall not apply, neither, more generally, shall the provisions that, pursuant to the said Consumer Code, apply only to “consumers”. Contracts entered into with L-Originale via the Website are governed by these General Terms and Conditions in accordance with Italian law. Italian is the language used to conclude the contract. Information about the Products is available in the Website along with the relative Product codes. If available, visual representation of the Products in the Website normally corresponds to the photographic image supplied with the product description. It is understood that the images of the Products are solely for the purpose of presenting them for sale and may not be perfectly representative of their characteristics and qualities, but may differ in colour and size. In the event of differences between the image and the product description, the description shall prevail. The Customer may only purchase the Products shown in the www.l-originale.com Website at the time the order is sent, as described in the relative information sheets. The information supplied with the Products is the same as that supplied by the producers. 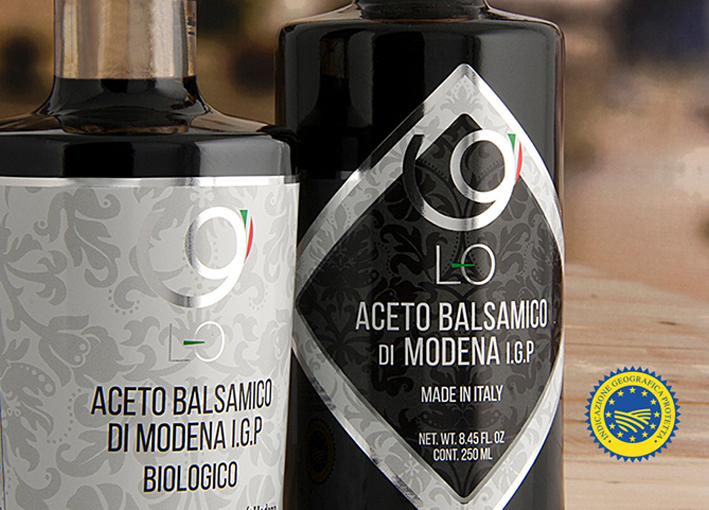 L-Originale therefore reserves the right to change the Product information so as to match that provided by the producers, without being obliged to provide prior notice. The images in this Website are provided to help the Customer to recognize the Products. When the packaging has been changed by the producer, the photos may not accurately reflect the appearance of the Product delivered. L-Originale undertakes to promptly notify the Customer if the order is not accepted. All prices in this Website are retail prices and, therefore, inclusive of VAT. 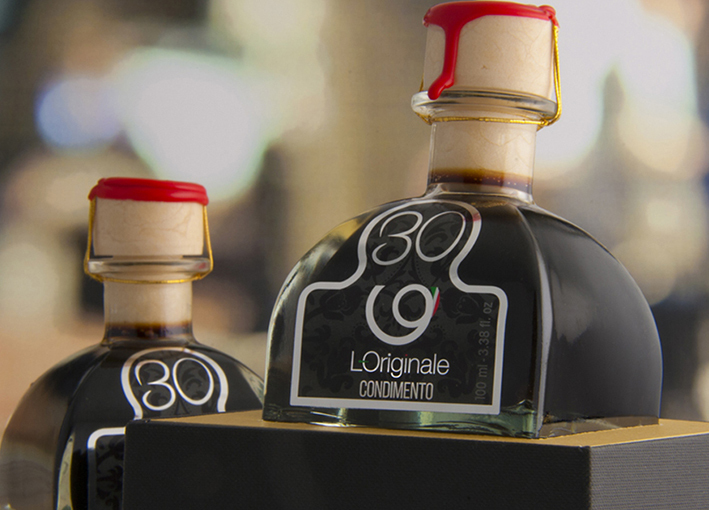 L-Originale reserves the right to change the prices at any time, without prior notice. The published prices do not include any taxes and/or duties that may be applicable in the country of destination when this is different from Italy. These costs vary from country to country and are at the charge of the Customer, who is responsible for ascertaining the required amount with the competent customs authorities. The Customer may pay for the Products and delivery costs by Credit Card, PayPal or bank transfer. Once the order has been confirmed, the Customer will be redirected to PayPal's website where he/ she may make the payment through his/her account or by using a card, also prepaid or, in any case, in the manner accepted by Paypal and in compliance with the relative terms. The Customer may pay by bank transfer within 3 days from the order date for orders of Products. Should this fail to take place, the order will be cancelled and the Products will again be available for purchase by other Customers. Customers who fail to arrange for bank transfers may be contacted by the Customer Care Service for the purpose of finding out whether failure to pay is due to the Customer’s decision to refrain from purchasing, or to other reasons. Reason for payment: the Customer must enter his/her order date and number, as given in the order confirmation email (i.e. “Order 03/07/15 No. L-O210996”). If the Customer is a professional person/entity, an invoice can be requested by selecting the appropriate box during the ordering procedure and entering the billing information, including tax identification code and/or VAT number. The invoice will be sent by email to the indicated address. The professional person/entity is responsible for entering the billing data correctly and is expressly informed that unless the invoice is requested when ordering, it will not be possible to request it at a later stage. The Customer is entitled to withdraw from the purchase contract, without being obliged to provide an explanation and without any penalty, except for the cases in which right to withdrawal is excluded under point 6.4 below. In order to exercise this right, the Customer must notify LOriginale within 14 days from the date of receipt of the Products, using the form that can be downloaded here. If he/she intends to exercise the right to withdrawal before having received the Products, notice of withdrawal may be sent at any time prior to their receipt. Such notice must be sent by registered letter with return receipt attached, addressed: To the kind attention of the Customer Care Service L-Originale di Andrea Adani, Via dei Narcisi 4 - 41126 Modena - Italy. Once such notification has been received, the Customer Care Service of L-Originale will open a file for the purpose of managing the returned Products and will inform the Customer how to return them. Right to withdrawal is subject to the following conditions: 6.1 - The right applies to a purchased Product in its entirety. If the Product consists of several components or parts, right to withdrawal cannot be exercised on only a part of the purchased Product. 6.2 - If right to withdrawal is exercised, L-Originale will refund the Customer the full amount of the returned Products within 14 days from the date on which notification of withdrawal was received, without prejudice to the right of L-Originale to suspend payment of the reimbursement until the Products have actually been received. Reimbursement will be made using the same method of payment used by the Customer, unless he/she has specifically requested a different method. In the case of bank transfers, Customers are obliged to provide information as to the bank to which they wish their reimbursement to be paid (account holder, Bank name and address and IBAN). 6.3 - The Products must be returned in the same box in which they were received. 6.4 - In addition to the cases indicated in the Foreword (non-consumer Customer and/or who requires an invoice), right to withdrawal is excluded in the following cases: - orders for tailored or clearly customized Products; - orders of Products which are likely to deteriorate or expire rapidly; - orders of sealed Products which are not suitable for return owing to reasons of hygiene or health protection or that have been opened after delivery. With reference to the above cases where right to withdrawal is excluded, the Customer is aware and agrees that Products that “are likely to deteriorate or expire rapidly” comprise all food Products (including wines, spirits and beverages), since the characteristics and qualities of these types of Products are subject to alteration, also as a result of improper storage. Thus, for reasons of hygiene and for the protection of Customers, right to withdrawal only applies to Products purchased via the Website that may be returned to L-Originale and remarketed without danger to the health of the consumers (e.g. gadgets, kitchen utensils, etc.). When right to withdrawal is excluded, L-Originale will return the purchased Products to the Customer and charge him/her the shipping costs. 6.5 - Return fees are at the Customer’s charge. L-Originale will refund all payments to the Customer received for the Product or Products for which the said Customer has exercised right of withdrawal within 14 days of the Customer’s notification. Shipping is free. The prices of Products that can be purchased via our Website are those indicated alongside the Products themselves and are inclusive of VAT. The prices are not inclusive of any duties or taxes applicable in the country to which the goods are delivered. All orders confirmed by L-Originale will be delivered to the delivery address specified when the order is placed. Products purchased from L-Originale are delivered throughout Europe within 4 working days from the date on which charge is taken of the order (confirmation of payment). If the pack is open when you receive it or sealed with adhesive tape that does not bear the L-Originale logo you can accept the delivery under reserve or refuse it: please inform Customer Service of the situation as soon as possible so that we can find out what went wrong. L-Originale declines all liability for delays ascribable to the forwarding agent. Upon receiving the package, the Customer must perform the following inspections: ▪ the packs indicated in the waybill or invoice must correspond to those consigned; ▪ the packs must be whole and undamaged: complaints must be made to the forwarding agent by affixing the words “Accepted pending verification” to the waybill, otherwise the pack will be considered to have been correctly delivered. 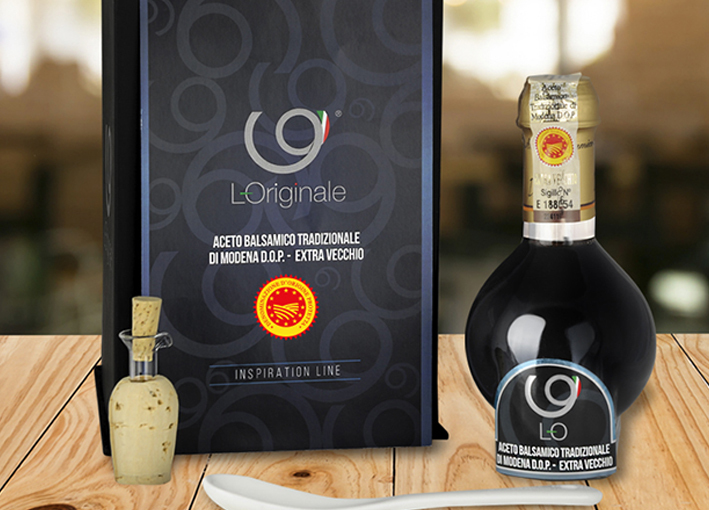 L-Originale guarantees that the delivered products are the same as those shown and described in the Website. Liability lies with the producer for all Products sold. 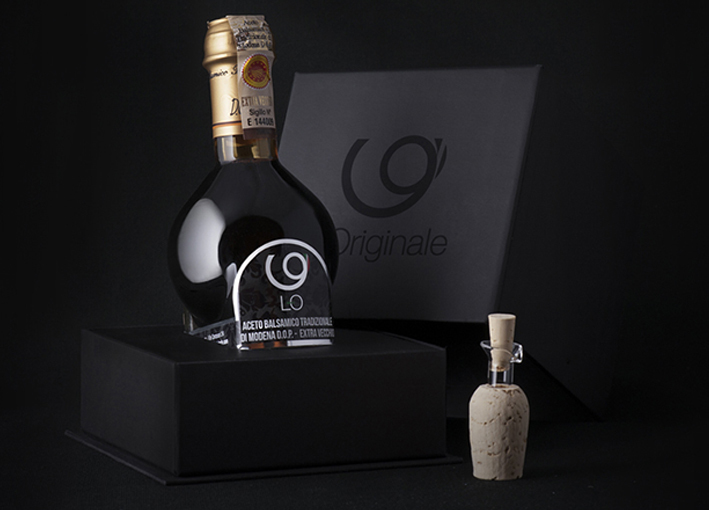 The producer is also responsible for the truthfulness and completeness of the information on the packaging In the event of lack of conformity of the Products sold by L-Originale, the Customer must immediately contact the Customer Care Service using the appropriate form: contact@l-originale.com. Sale of Products to private consumers is subject to the obligatory legal warranties established in the Consumer Code. With regard to sales of Products to professional traders (Italian VAT-taxable parties or, if foreign, equivalent), the Customer is entitled, at his/her discretion and as long as the type of Product so permits, to restoration, free of charge, of the Product’s conformity by repair or replacement, or to an appropriate reduction of the price or to the termination of the contract. The Customer forfeits these rights if he/she fails to report the lack of conformity to L-Originale within five days from the date on which the goods were received unless the Product, by its nature, is perishable or subject to expiry within a shorter term, in which case the defect must be reported within that shorter time. L-Originale reserves the right to correct any errors, inaccuracies or omissions also after an order has been sent, or to change or update information at any time without prior notice, without prejudice to the Customer’s rights under these General Terms and Conditions and the Consumer Code. Without prejudice to cases of wilful misconduct or gross negligence, every Customer’s right to compensation for damages or to payment of an indemnity is excluded, as is all contractual and noncontractual liability for direct or consequential damages to persons and/or things caused by lack of acceptance or fulfilment, even partial, of an order. L-Originale promotes responsible alcohol consumption and accepts no liability, without prejudice to the cases of wilful misconduct or gross negligence, in the event of purchases made by persons under 16 years of age. 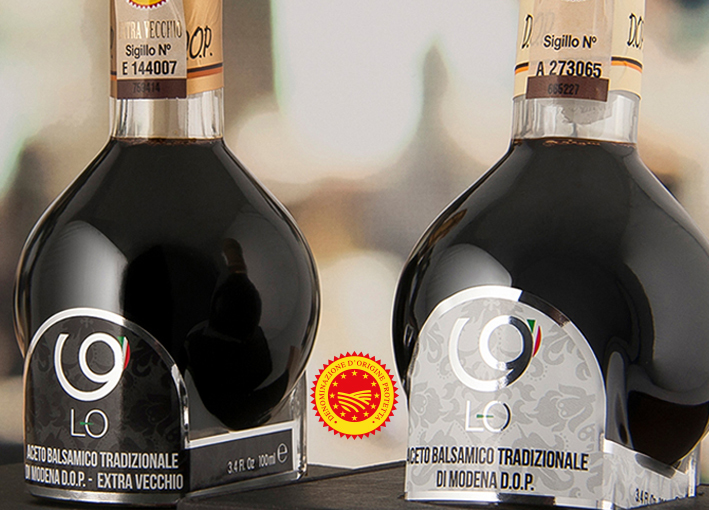 The contract of sale between the Customer and L-Originale is understood as being made in Italy and is governed by Italian law. For the settlement of disputes concerning the interpretation, execution or termination of these General Terms and Conditions or individual purchase orders, if the Customer is a consumer in accordance with the Consumer Code, the Court of his/her place of residence or domicile shall have exclusive jurisdiction if located within Italy. In all other cases, the territorial jurisdiction is exclusively that of the Court of Modena, excluding any other competent court. *** Pursuant to Articles 1341 and 1342 of the Italian Civil Code, the Customer declares that he/she has read and specifically accepts the following Clauses in these General Terms and Conditions: 7.1 (liability for delayed deliveries), 9 (right to correct errors - disclaimer), 10) (applicable law and jurisdiction.